If you handle the egg of a delicate skink, you’ll quickly end up with a sticky mess on your hands (That’s the last double entendre I’m using today I swear). You see, delicate skinks (Lampropholis delicata) have a really cool adaptation: If they are disturbed in-ovum by a would-be predator, they hatch early and make a bolt for cover. This adaptation was first documented by J. Sean Doody (now of the University of Tennessee) and his student Philip Paull of Monash University, Australia. Their study, published in the March 2013 issue of Copeia, describes the early hatching as “explosive”, with the hatchlings sprinting, on average, about 40cm. The embryonic skinks appear to interpret certain vibrations as a predatory threat, prompting them to forgo the remainder of their eggy downtime, thus avoiding their fate as a lizard omelet. The lizards can emerge up to 3 days earlier than they would normally do, to avoid the threat of predation. This fascinating adaptation is an example of environmentally cued hatching. Environmentally cued hatching (ECH) allows egg-dwelling animals to respond to their external environment in one of three ways: delayed hatching, early hatching and synchronous hatching. Delayed hatching allows the animal to wait for an appropriate environmental trigger before hatching. For example, pig-nosed turtles (Carretochelys insculpta) hatch when the nest is flooded by rainwater during the rainy season. 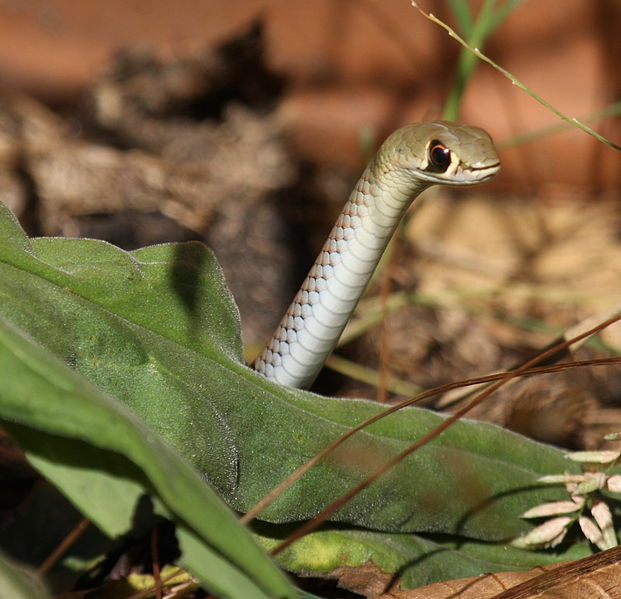 In so doing, they avoid hatching during the less hospitable dry season. Perhaps the best known example of an animal that hatches early to avoid predation is the red-eyed tree frog (Agalychnis callidryas). 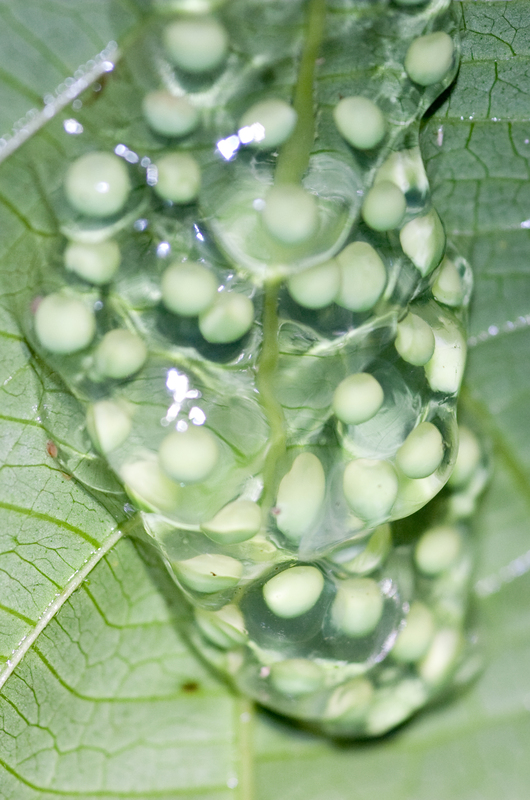 These frogs lay their eggs on the underside of leaves overhanging waterbodies. If the young are disturbed by the vibrations of an egg-predator they hatch early and drop to the waterbody below (In an especially cool adaptation, the young can differentiate between the vibrations of a predator and those caused by weather). In this case, dropping from a terrestrial environment to an aquatic habitat allows the tadpoles to escape a predator with relative ease, as a terrestrial egg-predator will not follow the tadpoles into the water. However in the case of the skinks, hatching early is not enough as an egg-predator is likely to be just as happy eating a freshly hatched lizard. This may explain why the skinks hatch so explosively: By “hitting the ground running” they gain a head-start on any predator that decides to pursue them. As our understanding of ECH grows, so to does our understanding of the subtleties of the interactions between animals and their environment. It is easy to dismiss the egg or the womb as isolated micro-habitats that are sheltered from the influence of the external environment. Studies such as this serve as a reminder that evolutionary pressures do not kick in postnatally. What better illustration could one ask for of the struggle for survival than a baby lizard running from a predator before it’s even finished hatching? Doody, J. Sean, and Phillip Paull. “Hitting the Ground Running: Environmentally Cued Hatching in a Lizard.” Copeia 2013.1 (2013): 160-165. Caldwell, Michael S., J. Gregory McDaniel, and Karen M. Warkentin. “Is it safe? Red-eyed treefrog embryos assessing predation risk use two features of rain vibrations to avoid false alarms.” Animal Behaviour 79.2 (2010): 255-260. Photos: Credit as per captions. Many thanks to P. Paull for input offered during the composition of this post.